Hublot is one of the 50 watch brands taking part in this year’s edition of Only Watch by Christie’s, which will be held in Geneva on November 11, 2017. Bringing together sophisticated horology and cutting-edge materials, Hublot, which has participated in the charity auction from the very beginning, showcases the best of two worlds with its contribution: consideration for the serious topic and the unique nature of the timepiece. The Big Bang Unico Sapphire Usain Bolt is a flyback column-wheel chronograph, dedicated to and bearing the name of “lightning bolt” Usain Bolt, the fastest man in the world. Hublot was the first luxury brand that dared to combine a luxurious gold watch with a “mundane” rubber strap back in 1980, and the brand has surprised the watch world again and again since then with creative combinations of cutting-edge materials representing avant-garde style at its best. Hublot has introduced a number of world firsts in watch cases: Magic Gold, an 18-karat scratch-resistant gold and ceramic alloy; King Gold, another proprietary gold alloy with a unique red shimmer; and even sapphire crystal mixed with composite resin, which is extremely hard to work with, but offers the noble intention of revealing the inner beauty of a mechanical movement from all angles by providing total transparency. Aside from all that, Hublot has perfected the use of ceramic (with a patented process to produce bright colors), carbon fiber, and tungsten, to name just a few. The Swiss brand has also introduced compound fabric materials such as chino twill, denim, and linen (some of them in partnership with the amazing Italia Independent and Lapo Elkann); demonstrated its remarkable expertise in diamonds as well as gemstone setting; and has even put filigree embroidery on dials (see Give Me Five! Skull Grinning From Behind The Crystal At Baselworld 2016 to view this latter technique in an up-close-and-personal way). Wow, that was a long list and it is not even complete. However, there are so many striking facts about Hublot that I could go on forever. But I will stop here. 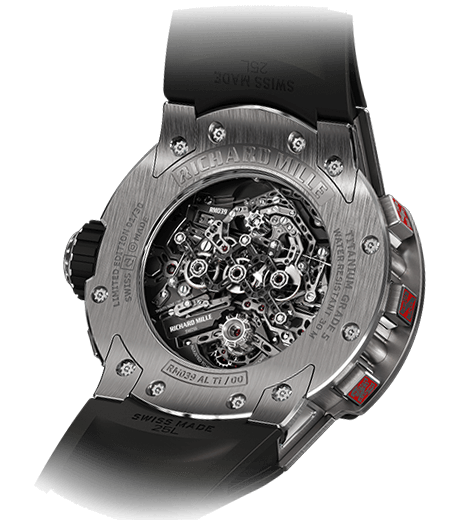 These days, Hublot calls this concept of combining precious materials with innovation and inspiration “The Art of Fusion.” This brand philosophy has earned it a unique reputation among experts and fans alike. Material research and development combined with unique craftsmanship is not the only field where Hublot has excelled, though. Since moving into its new headquarters in Nyon in 2009, Hublot has consistently expanded its production of in-house movements, from tourbillons to minute repeaters and complex chronographs. In order to meet the rapidly growing demand for timepieces with the distinctive “Hublot H” on the second hand, an additional production site was needed. Only six years later, a second state-of-the-art factory providing 8,000-square-meter workspace was inaugurated with much fanfare by the charismatic Jean-Claude Biver, now president of the LVMH Group’s watch division and spiritual father of the new Hublot, and CEO Ricardo Guadalupe. Among the 300 illustrious guests, some of the brand’s prestigious ambassadors such as Pelé and Bar Refaeli were spotted. Jamaican sprinter Usain Bolt also belongs to Hublot’s elite circle of brand ambassadors. An eight-time gold medalist and an eleven-time world champion, Bolt holds both the 100 meter and 200 meter world records. 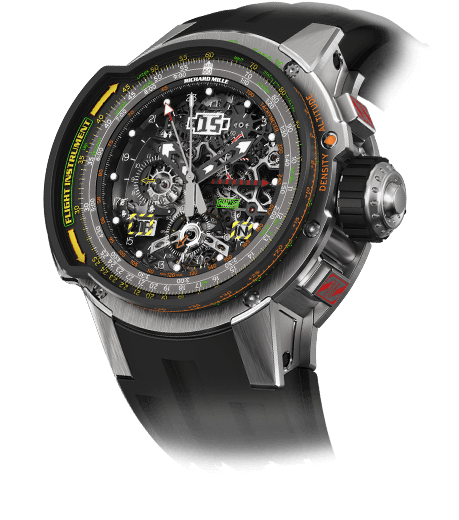 The unique piece developed for Only Watch 2017 honors the extraordinary sprinter with some intriguing details: the chronograph’s second hand is shaped like a lightning bolt in reference to Bolt’s nickname, while a silhouette of the man himself in his typical victory pose decorates the small seconds subdial at 9 o’clock. 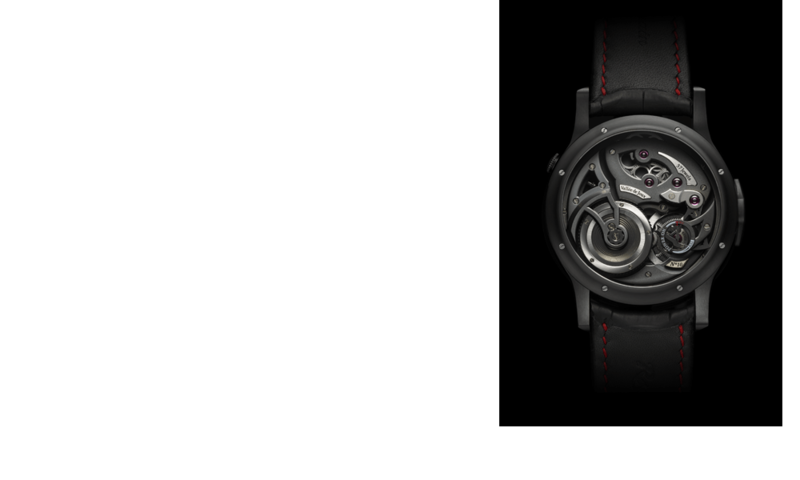 These elements add even more zest to an extremely detailed dial that is partially skeletonized in order to reveal the sheer beauty of the mechanical inner workings. I have always admired the fully visible date disk, likewise reduced to its bare essentials here. Moving beneath the hour markers, it adds depth to the already highly complex yellow gold-plated dial that complements the chronograph pushers, crown, and big and small screws on this very recognizable Big Bang case. Hublot’s hallmark since 2005, the Big Bang case of this unique piece for Only Watch is manufactured from several pieces of sapphire crystal and composite resin. Green Jamaican-themed elements recall the flag of the Caribbean island that Bolt calls home. 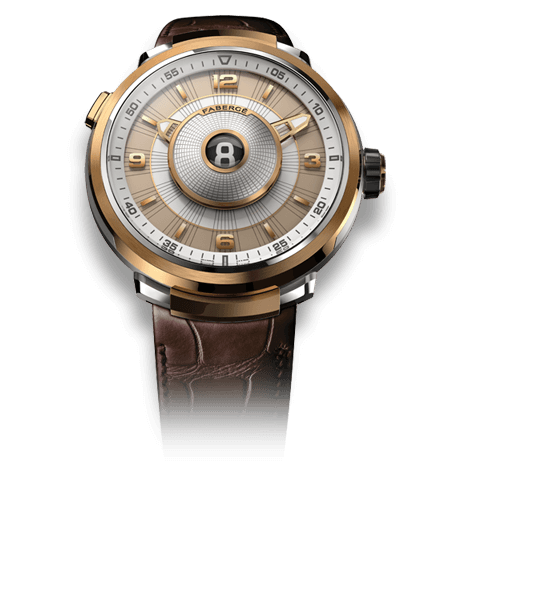 Technical bravura also distinguishes the sought-after manufacture caliber at the heart of the timepiece. 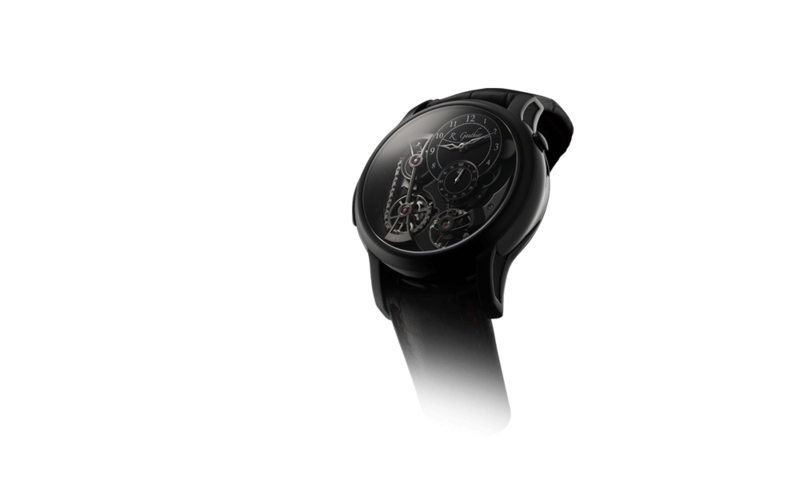 It goes without saying that the movement is showcased through the transparent case back.  Its flyback function seems fitting to honor both the fastest man in the world, whose legs practically fly over the ground, and the urgency of the Only Watch auction’s cause. The Hublot Big Bang Unico Sapphire Usain Bolt comes with two interchangeable straps, one lined transparent and black rubber strap and one yellow gold-colored calfskin strap embossed with the outline of a Jamaican flag. The lucky owner of this timepiece will also get to meet Bolt in person and receive a Puma jersey signed by the sports legend. 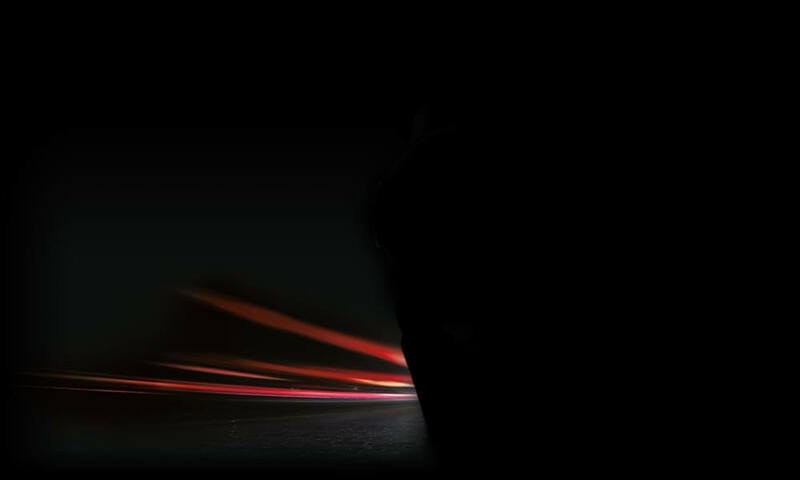 For more information, please visit www.onlywatch.com/the-watches/hublot.